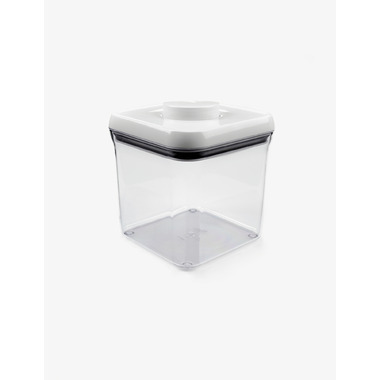 OXO Good Grips POP Container is the ideal size for rice, cookies, crackers and more. With the press of a button, you get an airtight seal. Containers are stackable for optimal countertop and pantry organization. They are great for use in the garage, sewing room, playroom and more. Container corners allow for easy pouring. Pop-up button serves as handle to lift off lid.